Lots of opponents of battery storage for electricity that has been generated by wind, solar, and other renewables like to focus on how much those systems cost. 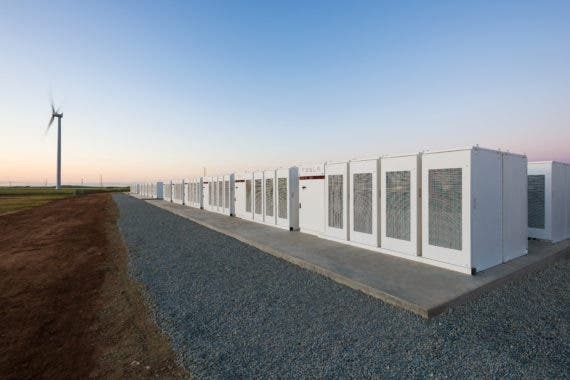 Take the Hornsdale battery installed by Tesla last year in South Australia. It cost $66 million, and to hear some folks in Australia tell it, that money will place a huge burden on local utility customers forever. They conveniently forget to mention that the battery is a source of income to Neoen, the French company that owns it and the adjacent wind farm. Neoen is about to go public. Buried in the 400 page submission to authorities in advance of its IPO is information about just how much income that battery has generated so far and what it is expected to generate in the future. According to The Guardian, Neoen will recover more than one third of the $66 million cost of the Hornsdale battery in its first year of operation. A return on investment of three years is remarkable and something that should make other utility companies sit up and take notice. The payback time for most of their generating plants and infrastructure is usually measured in decades, not a few years. Neoen says the Hornsdale installation had $9 million in income from network services — mostly frequency stabilization — during the first 6 months of operation. Almost $2.5 million of that sum comes from a 10 year agreement with the South Australian government to provide reserve capacity to the local grid. Doubling that sum for the first 12 months of operation results in $18 million in income. In addition, Neoen can expect to receive another $7.5 million in the first year from selling stored electricity back to the grid, bringing the total income for the year to more than $25 million. Neoen has not released figures about its operating expenses, but the numbers it has made public suggest the Hornsdale battery is more than paying for itself and will continue to do so for decades to come. The national government of Australia is now in the grip of committed fossil fuel interests who want to boost the country’s coal generation, climate change and carbon emissions be damned. Recently, new energy minister Angus Taylor crowed to supporters that the government has no plans to replace the country’s current renewable energy target once it expires in 2020, according to a report in the Sydney Morning Herald. “The renewable energy target is going to wind down from 2020. It reaches its peak in 2020 and we won’t be replacing that with anything,” Taylor told parliament recently. In the end, however, economics will overtake troglodytes like Taylor. The truth is, coal can no longer compete with wind and solar power that are buttressed by battery storage facilities. Taylor sounds a lot like Donald Trump when he says his country needs more “reliable” electricity from coal-fired generating plants. But his ideology-based arguments won’t stand up for long to the economic imperatives of the renewable electricity revolution.